Caring for your baby begins even before she is born. This is why it's important to have regular prenatal visits with your OB-GYN. The moment you suspect you're pregnant, it's best to have yourself checked by a doctor. The earlier you could have your prenatal checkup, the better. If you're an anxious mom like me, it's helpful to know the frequency of prenatal visits and what to expect during each checkup. It's also a good way to know how much you would be paying each prenatal visit (if you don't have a health insurance). 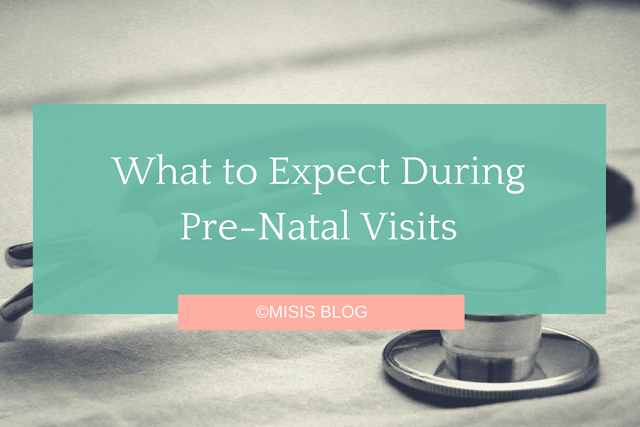 Here's a simple guide on the frequency of prenatal visits for a normal pregnancy, what to tests and procedures are done, and how much you might be spending for each visit. Important note: This is focused on a Philippine setting. Tip: You can get free tetanus shots at your local health center! It's important to note that the frequency of prenatal visits highly depends on your doctor's judgment. If you have any health problems before or during pregnancy, or if you have a high-risk pregnancy, your doctor might require more prenatal visits than usual. She may also order additional tests to make sure you and your baby are okay.